Why More Grip Strength in the First Place? When we mention grip strength most people don’t bother and keep doing whatever they were doing. A strong handgrip is one of those things that most people do not train at all. There are some obvious pros to doing this though, for example opening a jar of jam for your friend or meeting someone at the interview with a firm handshake! However, grip strength training can make a huge difference in routine exercises such as pull-ups and deadlifts. In fact, it can also help you develop stronger forearms. Furthermore, training your hand muscles will make it easier to do exercises that require gripping for long periods of time. Hence, a little bit of frequent grip strength training can certainly improve the quality of your exercises on the Pull-up Bar whilst yielding better results. Stronger muscles will also make you less prone to training injuries that we all want to avoid! 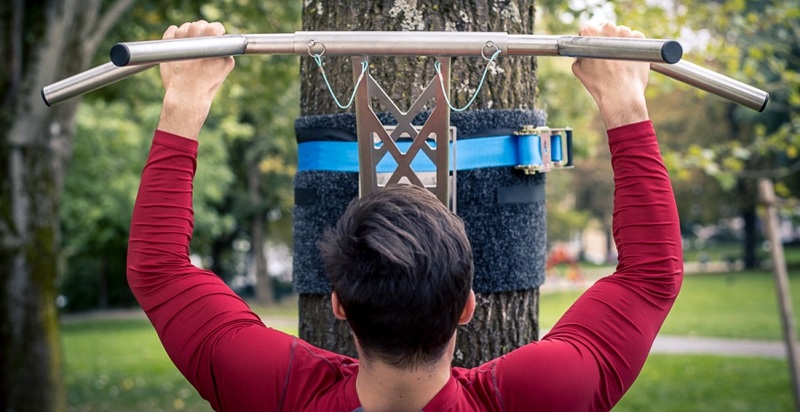 Weak hands can be masked with various tools and machines out there these days, but if you really want to have better workouts on the Pull-up Bar and enjoy some of these benefits then we suggest that you keep on reading. 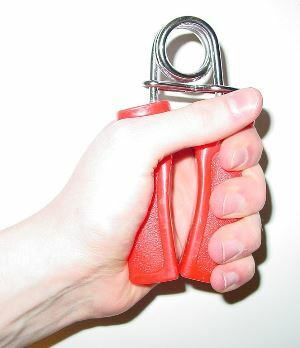 If you’re new to handgrip strength training, start out by using a hand gripper. These are difficult to close fully and will therefore give you a great workout, improving various muscles in your hands. Hand grippers come in different tensions depending on your needs and capabilities so make sure you buy the one that’s right for you. If you’re unable to make the gripper budge or are closing it as if it was nothing then you probably have the wrong hand gripper. An alternative method is to do sets where you try to hold a max close of the gripper (so basically not giving in letting go). Begin with shorter sets and extend these as you go to give yourself a proper chance to develop. Try to include hand grippers in your routine as an add-on to your regular pull-up bar exercises. Ideally you would be able to perform a couple of sets prior to starting out every time. There are various kinds of hand-strengthening exercises. The hand gripper is really good for improving your ‘crushing’ strength. However, there are also exercises for ‘supporting’ and ‘pinching’. Pinching plates can be very useful for improving your (pinch) grip. All you’d need is to two plates that you’d need to pinch together (i.e. just hold together). 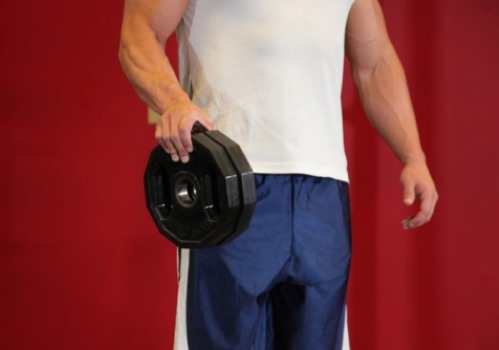 Do this for a while and if it becomes easy, switch the plates for heavier ones or simply add more. If you want to improve your support strength, you can simply use barbells. 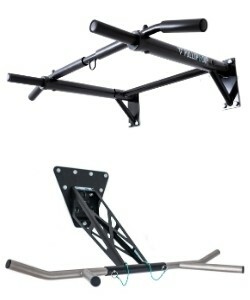 The idea is to hold the barbells for a couple of seconds or minutes, depending on your development stage. Doing a couple of sets will improve your overall support strength making it easier to undergo more intense training programmes. Adding variety to your hand exercises will ensure that you develop all your hand muscles in a more balanced way. Thus, you can opt to include all these different exercises, rotate them or apply them in tandem with your regular pull-ups on the Pull-up Bar. Although challenging in the beginning, adding a towel to your pull-up exercises can be the equivalent of going to bootcamp! 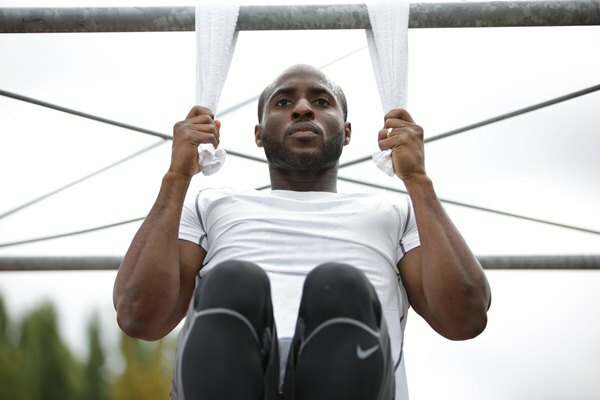 Just start by placing a towel over the Pull-up Bar and get ready to improve your pull-up grip strength ten fold! The general idea is to grip the towel tight and perform several sets of pull-ups on the bar, fifteen repetitions or more in each set. If you’re working out at a neighbourhood gym you should be able to get a towel or you can just use a regular one at home. This technique is perfect for more advanced training programmes as it will strengthen handgrip strength a lot. 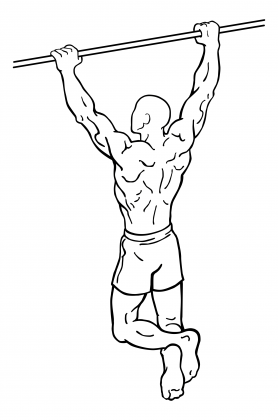 Combining this exercise with regular pull-ups (before or after) will also strengthen you further. 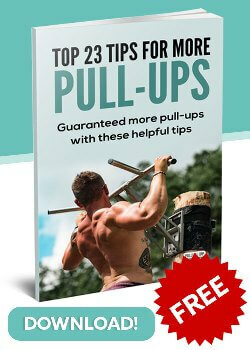 See also 10 more advanced pull-up variations. An often forgotten technique is to simply hang from your Pull-up Bar at the end of every workout, regardless of what exercise or muscle(s) you’re training. The main benefits include an upper-body stretch that consists of your arms, chest and back (decompressing your spine as well). All of this is while you are building up your handgrip strength. 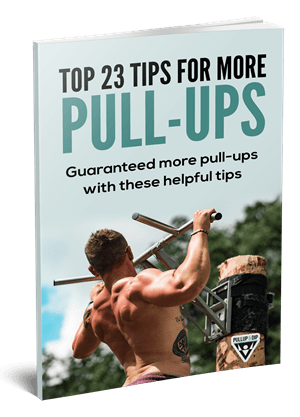 What you want to do is simply hang from your Pull-up Bar either though a parallel grip (front) or by using a wider grip (sides) for a minimum of one minute. Afterwards, rest for a little bit and repeat for another minute. You should try to go for more time as a means to push your own limits with each set. As with most things in life, if you want to see long-lasting improvements, it will most likely take more than 1 or 2 sessions per month. Make your training frequent and try to include variety in your exercises. This doesn’t have to be daily, but definitely make it part of your training programme and stick to it. As with most exercises we recommend taking breaks in between things to give your muscles the proper rest they need. The idea is not to train your hand muscles until they go numb but to improve your grip strength, which will make a big difference when doing pull-ups on the Pull-up Bar. We hope that these tips will be of help to you during your workouts. As a general rule of thumb, we highly recommend starting out simple and building up from there as your hand muscles gain more endurance and strength. Thanks for these tips, all really helpful for me besides #2 as I don't train in the gym or with weight. Especially like the towel pull ups, they are really effective and easy to do at home or in the garden! Good tips, thank you! I hope that I can get better with these exercises.